It has been reported that the French researchers at the Universite Paris Descarte in France have invented a promising new vaccine - administered as a nasal spray - being developed to treat several cancers. It is one of a growing number of vaccines developed in the last few years to fight cancer that ultimately will eliminate outdated harsh chemotherapies and radiation treatments and use the bodies own natural immune system. The vaccine has been first tested on head and neck cancers. When a person develops cancer, the body mounts an immune response against the renegade cells but it is often too weak to halt their spread. 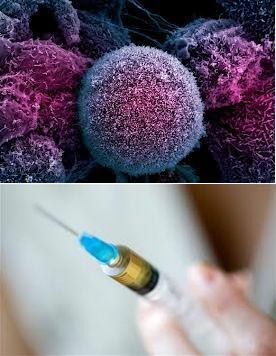 So, to supplement radiation and chemotherapy treatment, scientists have been working to develop vaccines to boost the body's natural defenses against the tumors. Two promising vaccines in late-stage human trials target prostate cancer and metastatic melanoma, the deadliest form of skin cancer.